Our best seller and a true value for reloaders. 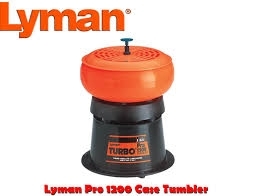 The 1200 Pro features the same capacity as our standard 1200 model at a very affordable price. The "built-in" sifter lid for quick and easy media separation saves you the cost of a separate media sifter. This economic 1200 Pro holds 2 lbs. of media and will clean up to 350 cases per cycle.